I first went to evening classes when I was 15 and got into art college in Gloucester, UK when I was 16 studying photography. I stayed there for 2 years from 1976 to 1978 and then started work in an industrial darkroom where I learnt how to print photos under deadlines and how to do very large prints for posters and for many media companies. You started out primarily as a live music photographer, what are your early memories of those days? At what point, or at what concert did you realize that you had really nailed it ? In 1978 I was still working in the darkroom and because it was in the west end of London where all the magazines and music papers were located I started to go to concerts and take photos, then rush home and develop the film and do 4 or 5 prints in my darkroom in my bathroom and drop them off to the music papers early the next morning before I went to work. After 3 or 4 months New Musical Express started to call me and give me the occasional gig to go to. One of the very first ones was the AC/DC show at Hammersmith Odeon. I was still very much learning how to shoot concerts then though. I would say I had become really comfortable taking pictures at concerts by about 1980 after I photographed Bob Marley. He was difficult to photograph as he was always moving and swinging his dreadlocks around and also performed almost the whole show with his eyes closed which made it a challenge but after I developed the films I realized I had a lot of good shots of him and that was a big confidence boost. What are the most common mistakes people make when they shoot live concerts? What advice would you give to people who want to go into this type of photography? Of ten people thing if they get up really close in the middle of the stage they will get the best shot but if the stage is very high up you may end up just shooting straight up a performer's nose and also the microphone (if they are a singer will often block off their mouth or some of their face. It is usually better to be to the side. If you know which side a guitarist normally performs for instance try and get on that side of the stage. Sometimes being a bit further back is better as you will get a better angle. Also I often don't shoot a lot of pictures but hold the camera up to my eye all the time. Now with digital cameras a lot of photographers wil take a few photos and then be looking down to see what the shots look like and they end up missing better potential photos. I hold the camera to my eye all the time and just shoot when you think you have a good composition and look at the images afterwards. For a long time now at most big concerts the record companies or PR companies only allow photographers to shoot the first three songs of a show and then you get thrown out. I think it is because they don't want photographs published of their artists looking hot and sweaty and with their hair out of place.This can be a real problem though as it is normally by the 4th or 5th song that a band or singer will really get into the performance. Well, unfortunately, I never got to meet them. I only shot them live (although I did get the whole show to shoot them). I was commissioned by New Musical Express to shoot them at Hammersmith Odeon which was the main theatre that bands played at. Now it is called the Hammersmith Apollo. It holds about 3500 people and is one of those venues that bands like as it isn't too big but is always a good atmosphere. The sound there is always good but I remember that the AC/DC show was probably the loudest concert I had ever been to. There used to be an orchestra pit there where the photographers went so you could move around a fair bit. This was particularly useful for AC/DC as trying to shoot Angus Young was frankly a nightmare. He didn't stop moving for a second and sometimes rather than moving the camera back and forth it is easier to try and move with him from one side of the stage to the other. The lighting was good but he was too quick for the guys trying to follow him with spotlights so often he would be in the dark spots. As his head is bouncing up and down all the time too it is an extra problem to try and snap him when you can see his face. It means you need a fast shutter speed so I used to uprate the film to 1600ASA to freeze the motion otherwise he would be too blurred. I never used auto-focus or automatic exposure so it was an added problem too. I remember the second time I shot them at Hammersmith Odeon the music was really loud and I was right near to the PA stacks. I found chewing gum or clamping your teeth together helped (no-one wore ear-plugs back then). I turned round and saw one fan had blood coming out of his ear as he had ruptured an ear drum! The only other time I saw that happen was at a Ted Nugent concert at the same venue. It must be very painful !! 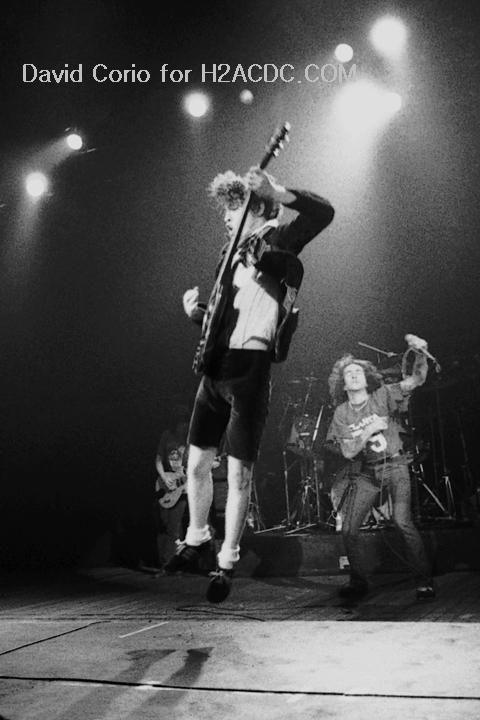 Tells us more about those fantastic AC/DC live session in 1978 and 1981 visible on your site ? They were probably the first real rock concerts I had been to. I had grown up listening to punk and reggae mainly so this was quite different and a bit of a shock to my system. I had short hair and drainpipe jeans on and all the crowd had long hair and denim or leather jackets and they all knew all the words to the songs too. They were obviously very devoted fans! 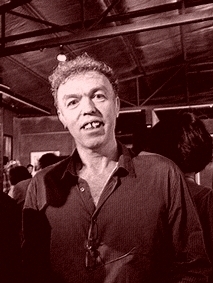 My first impression was wishing that Angus Young would just stop moving all the time to be honest. 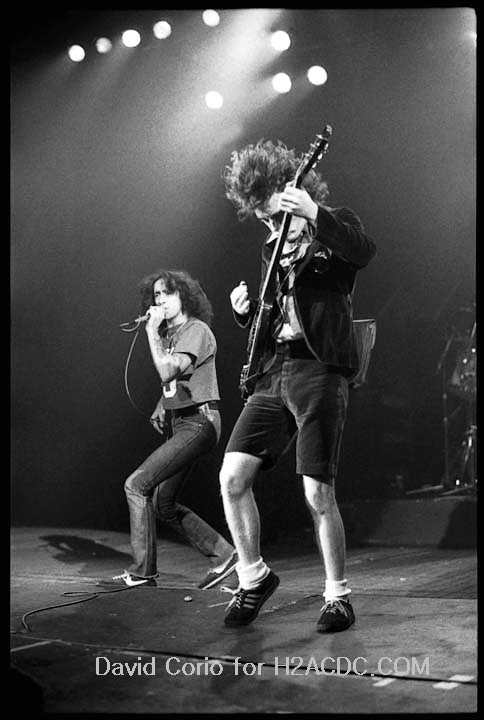 Bon Scott was also good to photograph but Angus was the best one to photograph. He looked quite mad with a schoolboys uniform on and a satchel on his back bouncing around the stage or leaping up and down. The energy was very infectious though which was good but I remember feeling drained afterwards but also very hyped up. I probably didn't sleep much afterwards due to the excitement and also knowing I had to develop and print the photos for the next morning. Normally I would print maybe 4 or 5 photos but I got at least 12 shots I was really pleased with from 2 rolls of film which was a good success rate. I think I would have heard of them but other than knowing they were from Australia (I certainly didn't know they were originally from Scotland!) wouldn't have been able to identify any particular song at that time. Well I didn't meet them personally but my head was ringing for days afterwards so they certainly left a memory in my head. Oh yes that was easy to tell. They had some hard-core fans who were obviously already devoted to them and just their presence onstage was special. It can really stand out with some bands from very early on. I was lucky to photograph and go on tour with U2 before they had a record deal and were still just touring little youth clubs in Ireland in 1979. They were the same. They had a special presence about them. It is hard to describe in words but there is an aura and confidence about them. They know they are special - not really in an arrogant way. It is like watching a great football team who just get everything right. It all gels together and just combines perfectly. I never met him so can't really say but he certainly had a lot of charisma onstage and one powerful voice too. His partnership with Angus was so natural too - the guitar didn't over-power his voice in the least. 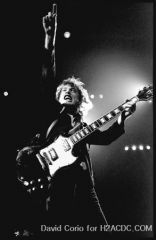 He is one of those guitar players of which there are very few who seem to be able to play rhythm guitar and lead guitar at the same time and bounce around the stage non-stop and keep the whole band in perfect rhythm. That is quite an accomplishment! You do have a real artistic signature. Is this an innate style or a technique you developed over the years ? Not really intentionally. For concerts as I said earlier I uprated the film which makes the negatives pretty grainy and contrasty. I've always liked strong black and white photos by photographers like Bill Brandt and Eugene Smith and Irving Penn so they were a natural influnce even if it might have been unintentional. Yes! Unfortunately it has happened a few times. On two occasions I saw Muddy Waters perform. The first time I didn't have a photo-pass and the security confiscated my cameras and the second time I didn't have my cameras and ended up being only about 20 feet from the front of the stage. It was very frustrating being able to see him and continually thinking what a good photograph I would have got. I have a big exhibition of my punk and hip hop photos in an exhibition in New York at the Morrison Hotel Gallery on The Bowery with another photographer Janette Beckman. It starts on March 10 and is called 'Catch The Beat' - the roots of Punk & Hip Hop Photographs by Janette Beckman and David Corio. I'm also working on a book project of my photos from the 1970s and 1980s called 'Memoirs From The Moshpit' which features about 80 photos with anecdotes about them alongside them. what was your most memorable photo shoot and why ? I photographed James Brown but had to wait 12 hours to shoot him. When I finally got backstage to take photos of him he was sitting with his hair in red hair curlers. Everyone had to call him Mr Brown and no-one was allowed to drink or smoke unless he was smoking or drinking. He said I could take photos after the show and I made the mistake of saying the photos would only take a minute. I didn't think he would take it literally though. After the show I was ushered in to the dressing room again and He looked at his watch and he timed me and after 60 seconds I got thrown out of the dressing room. I got a couple of good photos out of it so it was worth it despite the long wait! When did you first make the transition to digital? Were you instantly wowed by the new technology ? No! I 'm not a fan of digital really but have to use it for work these days as the convenience of speed makes it the way everyone works these days. I don't think it is as good as film by a long shot. It can't capture the highlights or shadow detail as well as film particularly when the image is really contrasty. Highlights get blown out in particular. Also I like to do my own priniting and you can stamp your own style on photographs much more using film. These days everyone has a camera on their cell phone or handheld device, how is this impacting professional photography ? I think it has really cheapened it. Everyone thinks they can be a photographer now and the quality from phones is usually terrible. People don't seem to care so much if the image is pixilated or blurred either. It's sad really. Final obvious question, but who is the celebrity that you never tire of photographing? The flipside being: who was a really difficult person to shoot ? 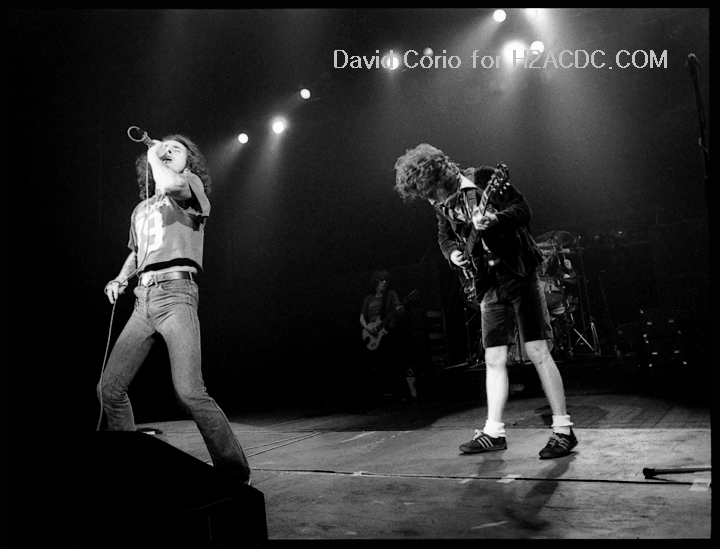 Can we ask you if you would offer us a few unseen picture of AC/DC. Be sure our community would appreciate the true value of it. Keep the faith and keep loving the music.